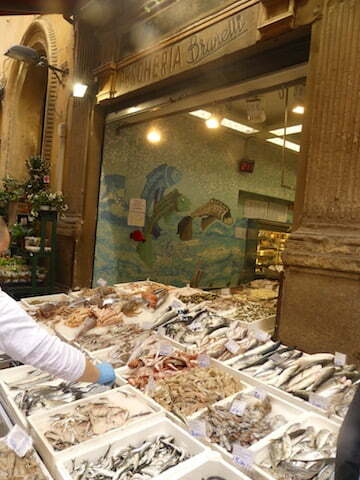 Walked through a market street area in Bologna on the way to the fair this morning. 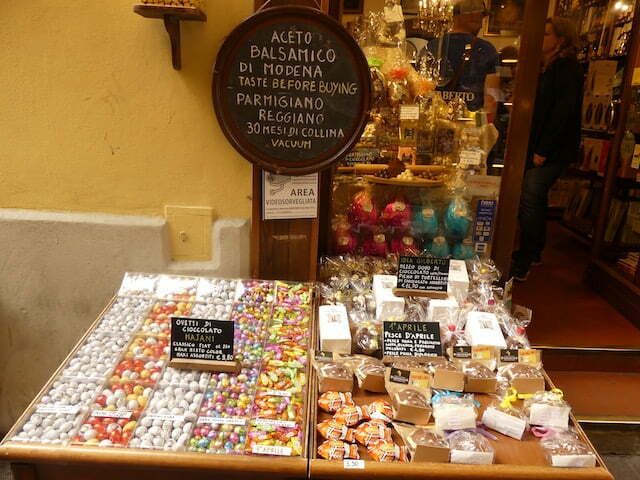 Lots of shops getting their Easter displays up which are gorgeous, especially the chocolate shops! There were some live crabs scuttling around in one of these boxes. 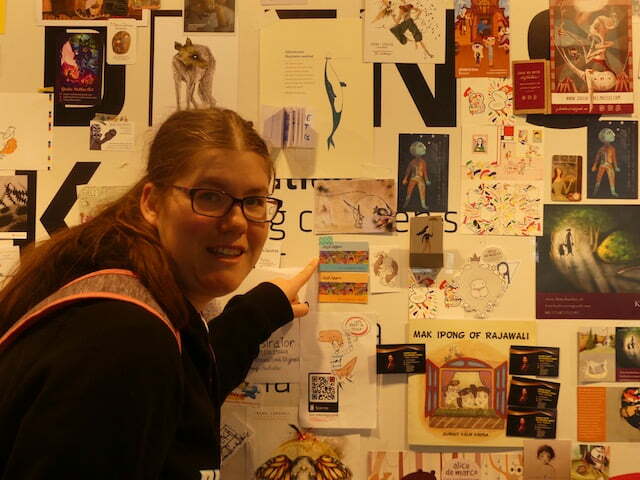 I managed to get some business cards from Sally Heinrich and Lorell Lehman before leaving and so we stuck them up on some of the illustrator’s boards at the fair. There they are…in amongst hundreds of others…but who knows? 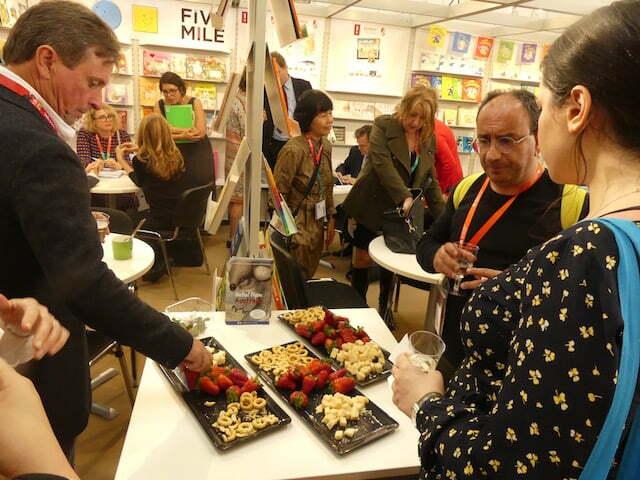 they just may catch the eye of a publisher! 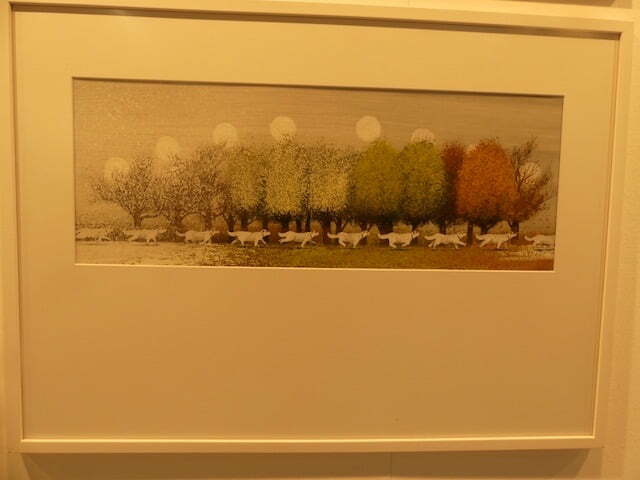 Igor Oleynikov is one of the illustrators from this year’s guest country Switzerland, and there was a huge display of his work, which is superb. I love this illustration below. Morris Gleitzman spoke about how the Australian contingent must be so dedicated…look at our eyes…we have travelled the furthest of any countries to get here. So true! 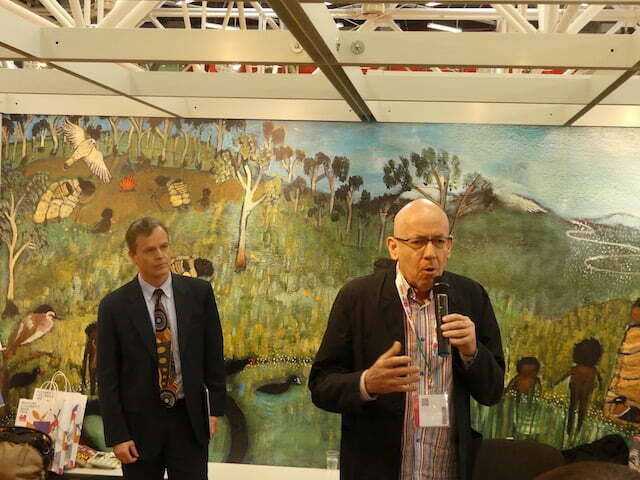 This is the Australian Ambassador to Italy on the left and Morris Gleitzman on the right. Party food! Can you see Gabrielle Wang in the centre? This poster was at the Australia stand. Great to read and so true! So it being Wednesday as I write this, I am rostered on later today to sit and talk about my books to passers by. Really looking forward to it. It seems you are having a really fantastic time Jane – I hope it continues to be a wonderful experience. Hi Susan, Yes once again it is an amazing experience.Are you going to CBCA Conference in Canberra this year? Sally and I are both going. Looks like it will be great with some fantastic speakers and sessions. Hi Room 6, At the moment of writing back to you it is Friday 4:00pm in Adelaide and 7:45am on Friday morning here in Bologna. Today we catch a train to Venice and ar there for 4 nights. 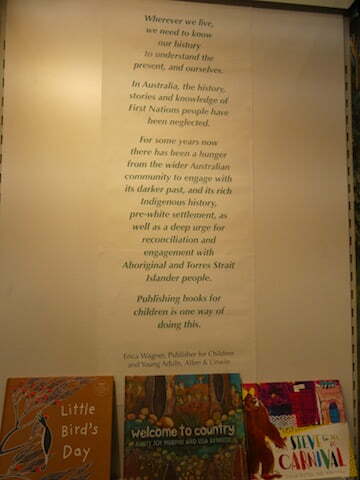 Morris Gleitzman’s speech was great and talked about our indigenous writers as well as the fact that we are so dedicated and have travelled so far across the world to attend the book fair and that Australia is up there wit the best of the best in children’s books! Yes Savanna I do remember you telling me that you are Italian. Ciao Bella! Best food so far would have to be eggplant parmigiana in Vernazza on the Cinque Terra. It was scrumdiddlyumptious. Yesterday we went by little mini train up a hill to see a huge basilica called San Luca an the view across Bologna was brilliant so that is one of the best experiences so far…but there have been so many fantastic experiences that it is pretty hard to choose. Hope you all had a fun weekend.I am going to try and add another blog soon with more photos. The shop window displays for Easter are gorgeous!Ciao!